Amid mounting debts and fears over China’s perceived expansionary intentions, more and more countries are becoming disgruntled with the much-vaunted Belt and Road Initiative (BRI). Malaysia’s Prime Minister Mahathir Mohamad this week used a state visit to Beijing to announce he was shelving plans for two major infrastructure projects that fall under the BRI umbrella. “I believe China itself does not want to see Malaysia become a bankrupt country,” Mahathir said, referring to Malaysia’s high level of sovereign debt, upon announcing his plans to scrap the projects The previous day, standing alongside Chinese Premier Li Keqiang, the recently returned veteran leader had said: “We do not want a situation where there is a new version of colonialism happening because poor countries are unable to compete with rich countries.” Mahathir has cancelled the East Coast Rail Link and the Trans-Sabah Gas Pipeline projects, which were due to cost US$20bn and US$2.3bn, respectively. In doing so, he has echoed the concerns of many other politicians and analysts about the potential debt trap that the BRI could potentially create, as well as the conditionality that could come as a result of being unable to repay these debts. “I would totally agree that there’s blowback occurring on all fronts regarding China’s state-centric soft power, including BRI. I think there’s pushback on all fronts on China Inc’s ambitions to promote Chinese firms and technology,” Alex Capri, visiting senior fellow at the National University of Singapore’s business school, tells GTR. “On BRI, the debt model that Beijing has been pushing for to emerging countries, it’s increasingly seen as a honeytrap that has backfired,” he adds. The situation is laid bare in a recent study by the Centre for Global Development (CGD), a US think tank. Researchers evaluated the current and future debt levels of the 68 BRI countries, finding that 23 of those are at risk of debt distress today. The study found that for eight of those countries, future BRI-related financing will significantly add to the risk of debt distress. These countries are: Pakistan, Djibouti, Maldives, Laos, Mongolia, Montenegro, Tajikistan and Kyrgyzstan. The situation in Pakistan has come under intense scrutiny following the election of new Prime Minister Imran Khan. Pakistan is rated by the CGD as “by far the largest country at high risk”, with US$62bn in additional infrastructure debt, 80% of which is owed to China through big ticket BRI projects. While Khan is set to review some of China’s energy and infrastructure investments, the early signs are that he will maintain close economic ties with Beijing. In Sri Lanka, anti-China investment sentiment predates BRI itself. The country was the recipient of a series of high interest Chinese loans which helped build highways, a cricket stadium, a deep-water port and the massively under-utilised Mattala Rajapaksa International Airport, which has a capacity for one million passengers a year, but which sees only a dozen passengers every day. “Some countries are growing increasingly wary about the financing structures associated with Chinese infrastructure investments. There are worries about potentially high levels of debt. In cases of debt-for-equity deals – as with the Hambantota port in Sri Lanka, for example – critics raise concerns about political leverage and territorial integrity,” Joydeep Sen, South Asia analyst at Oxford Analytica tells GTR. Tonga’s Prime Minister Akilisi Pohiva, meanwhile, last week said that Pacific island nations should lobby China to forgive the debts owed to it for infrastructure projects. The country is reportedly US$160mn in debt to China, including a 2007 loan from China Exim to rebuild the capital city Nukualofa following a spate of rioting. “One issue for certain is that we don’t want the Chinese government to take the assets used as collateral for the loan, and when we don’t request for loans, we will not be aligned with the developments of the world it is today,” Pohiva told the Samoa Observer. Even while the pushback gathers pace, however, enthusiasm for BRI remains strong among the banking sector. In a recent glowing report on the BRI, German bank Commerzbank wrote: “Despite these challenges, Commerzbank is confident that, for BRI countries and companies – including those from Europe – as projects increase, so will the opportunities, trust, expectations and rewards.” Citi, meanwhile, has just appointed a head of banking and origination in Hong Kong, dealing exclusively with BRI-related work. 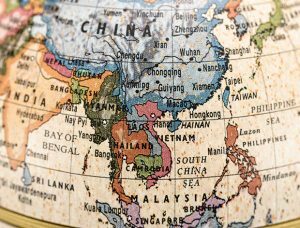 The post Malaysia leads “blowback” against China’s Belt and Road Initiative appeared first on Global Trade Review (GTR).